Volendam is a picturesque town in Holland. 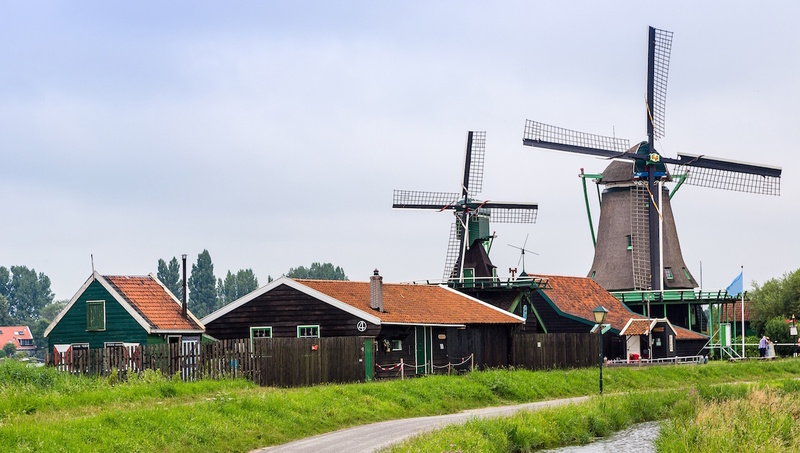 Sample some local cheese as you tour a windmill and try on some wooden shoes. Walk into postcard-perfect Holland and experience Volendam! 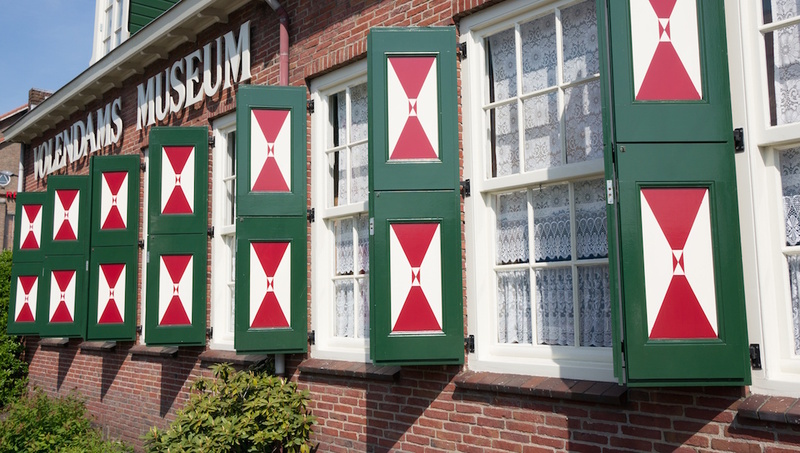 Be sure to stop by the Volendam Museum for an interactive look at the history of Volendam. You'll find family-friendly exhibits that feature local tradition and lifestyle. 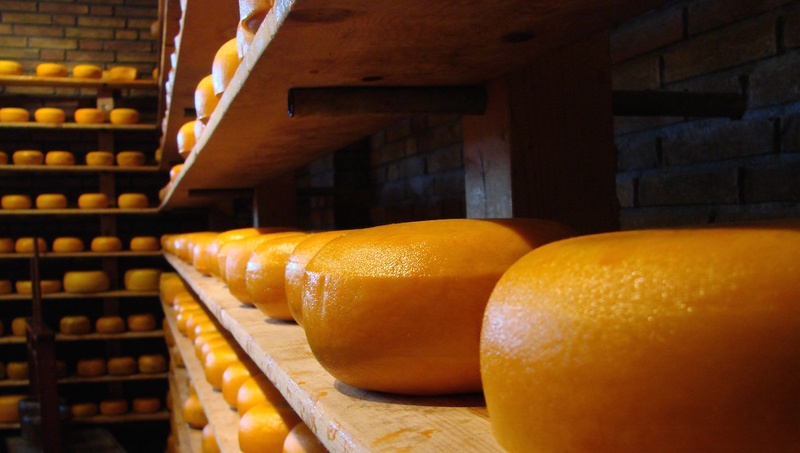 The Cheese Factory in Volendam will be a treat for your taste buds and your olfactory sense. 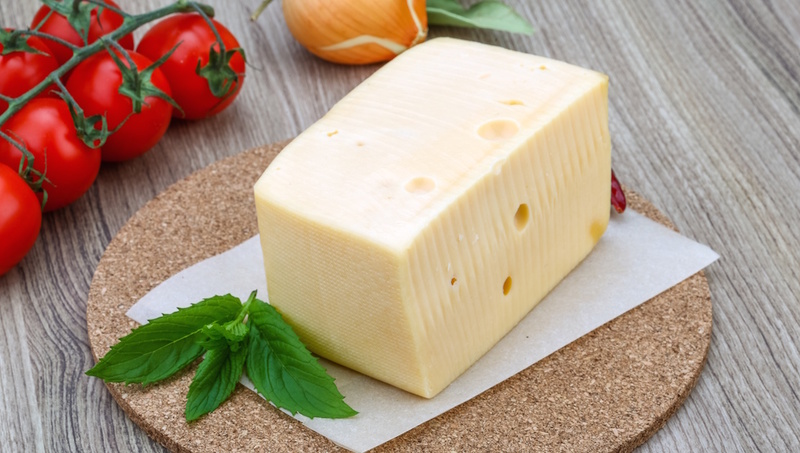 Visit to learn about how cheese is made today and sample a variety of cheeses. There are tours given everyday in a variety of languages. Volendam is just 12 miles north of the capital of the Netherlands: Amsterdam. A day trip between the two cities takes thirty minutes by car and under an hour by train. No trip to the Netherlands could be complete without a requisite windmill sighting. Lose yourself to the Dutch countryside and take a trip to Zaanse Schans. Be sure to explore the huge, well-maintained windmills still in function as you sightsee in Zaanse Schans. Take a tour of the tiny town of Edam --population 7,000 and enjoy some namesake Edam cheese while you're there. After you've gorged on dairy, take a turn around the city, the charming architecture is the perfect way to walk off all that cheese. 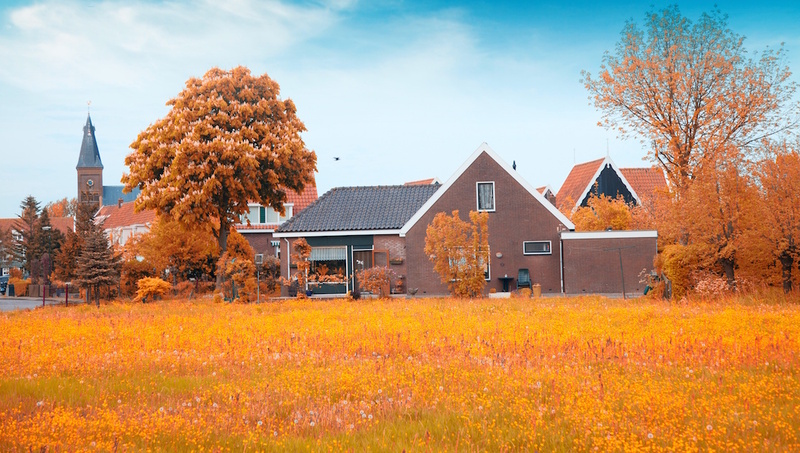 Visit the formerly isolated island of Marken via the Volendam Marken Express. The ferry transports a quarter million passengers each year and offers great views of Volendam and Marken. How to Get Around Volendam? Do as the locals do and get yourself a bike. Renting bikes is an inexpensive way to get around Volendam and sightsee at the same time. For day trips from Volendam you have the option of taking ferries, buses, or trains. What to eat in Volendam? First and foremost, be sure to sample the cheese in Volendam. Other local goodies include waffles, apple tarts, poffertjes (small pancakes), bitterbaalen (fried balls of cheese), and many more Dutch delights. The best time to visit Volendam is during the summer months. It can be quite cold in the winter and you are most likely to get sunshine and warm weather from June to August. Want to discover all there is to do in Volendam? Click here for a full list. I was pleasantly surprised that the tour offered so much to see and do, and was so much fun! And in light of its costs, this tour offers excellent value for money. Credit goes to the team of professional guides (Ian, Semlina & Harold) and driver. A trip that was so much more than I expected! If I have to put in one word - wonderful! From start to end, we were taken good care of, lots of interesting facts and stories were presented by the knowledgable guide Sandra (Thank you so much, Sandra! And thank you, Nick for he safe driving!). So many activities and hands-on experience in various workshops were included that there was not one minute to feel bored! Great value for what it is worth and weather was favourable too which is always a bonus in windy, wintry, mid-March Holland! Really pleased with the choice of places and quite informative - one gets to see the Netherlands in a snapshot of a few hours! Highly recommend!!! 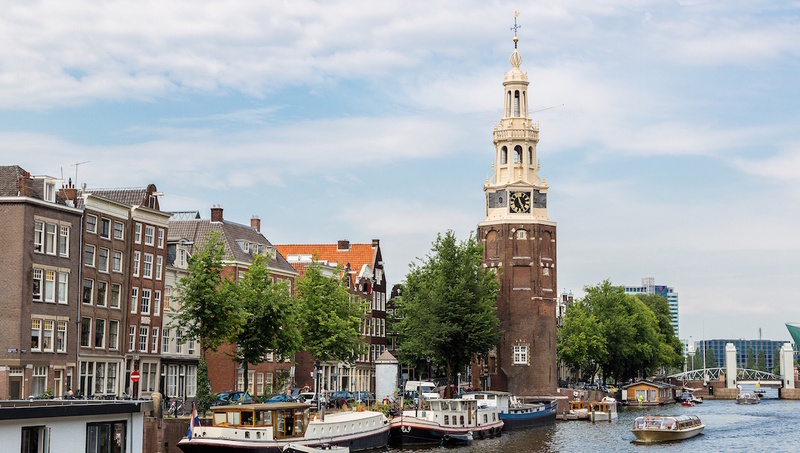 If you do one thing outside of Amsterdam - that has to be it! PS: quite strict with leaving times but that is not a bad thing as when travelling as a group, and visiting more than one place. It is only fair to everybody- so make sure you have a good watch with you!